My boyfriend and I watched an incredible movie, The Fall in 2009 and became enchanted with the cinematography and incredible scenery - especially with the scenes filmed in India. I was bewildered that such beautiful places exist, and surely if you've seen them in the movie too, you'd think they came straight out of someone's fantastic imagination. We told each other, "we have to go there!" and during the summer of 2010 we set out for the region of India where much of the spectacular Indian scenes were filmed - Rajasthan. 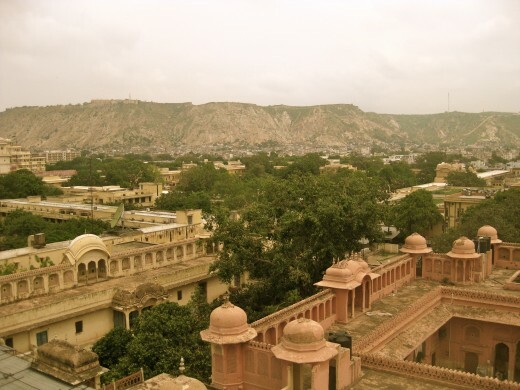 Keep reading to find out more about the Pink City, Jaipur, and you'll see how majestic it is. 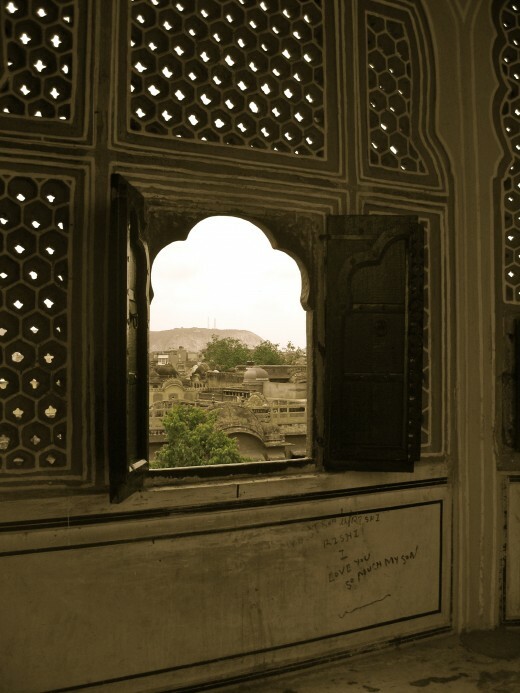 Not only is Jaipur's scenery memorizing in The Fall, it is even more so in reality and has a rich history that legends are made from. 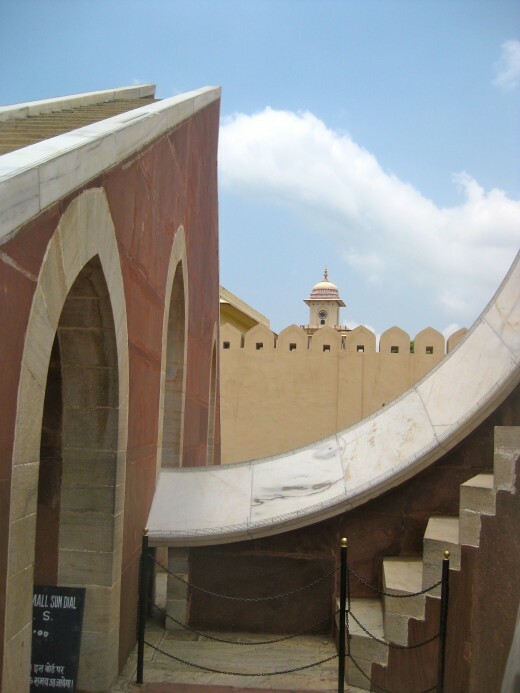 Jaipur was founded in 1727 by a king who was also an astronomer, Maharaja (King) Sawai Jai Singh. The story of the founding of the city is very fascinating and I really enjoyed hearing it proudly from our driver as my boyfriend and I did a road trip through Rajasthan. 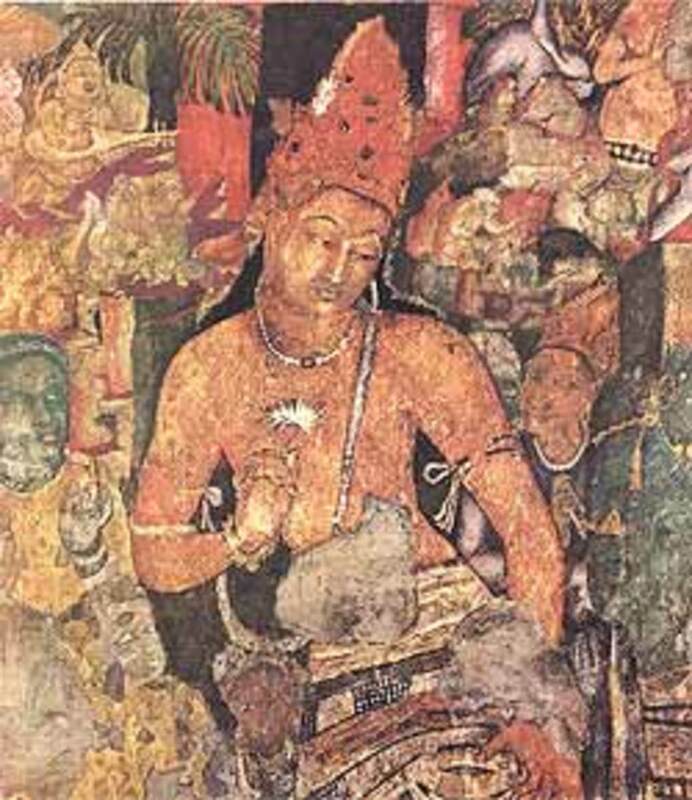 King Sawai Jai Singh became king of Amber (also known as "Amer"), the capital of Kachwahas, in 1699, at the age of 11 after his father's untimely death. 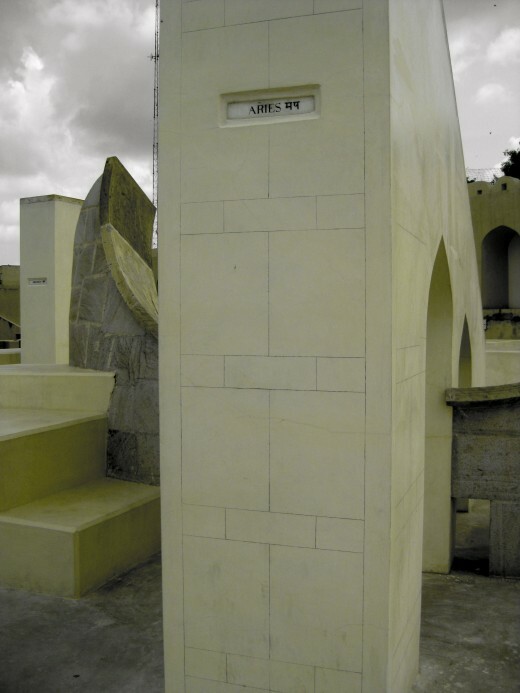 He was granted the title of "Sewai", meaning one and a quarter times superior to his contemporaries by the Mughal emperor, Aurangzeb. That's pretty powerful for a boy who was not even a teenager! He was faced with many difficulties early on in his rule but incredibly overcame each one and was instrumental in establishing peace and stability in his city. He decided to build a bigger city than his ancestral town of Amber, located on a plain just 11 kilometers (6.8 mi) away. Also there was a growing scarcity of water. So Maharaja Sawai Jai Singh had a city designed by architect Vidhyadhar Bhattacharya and had Jaipur built - India's first planned city. 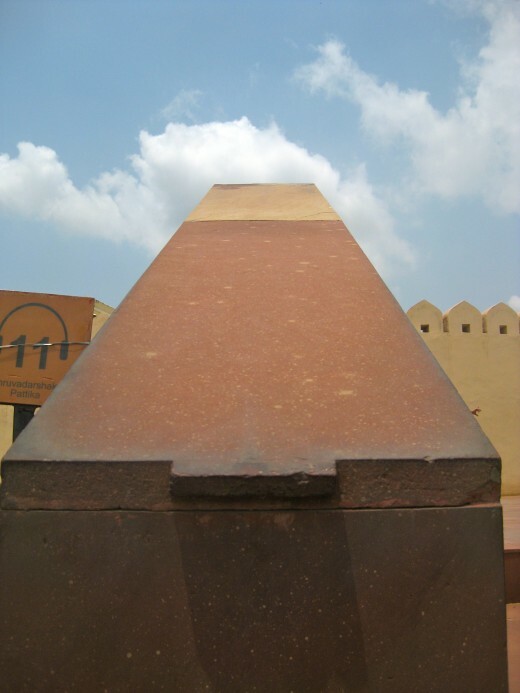 Maharaja Sawai Jai Singh is remembered nowadays as the most enlightened king of 18th Century India. A predecessor king, Maharaja Ram Singh ordered all the buildings to be painted pink in honor of a visit by the English Prince of Wales in 1876. That's why Jaipur's old part of the city is called "The Pink City". Nowadays, Jaipur is the capital of Rajasthan. It's also one of the focal points of tourism in Rajasthan, being that it's one of the three cities known as "the golden triangle" - the other two are Delhi and Agra. The many attractions of Jaipur include fabulous palaces, forts, temples, gardens, ancient city walls and a stunning observatory. 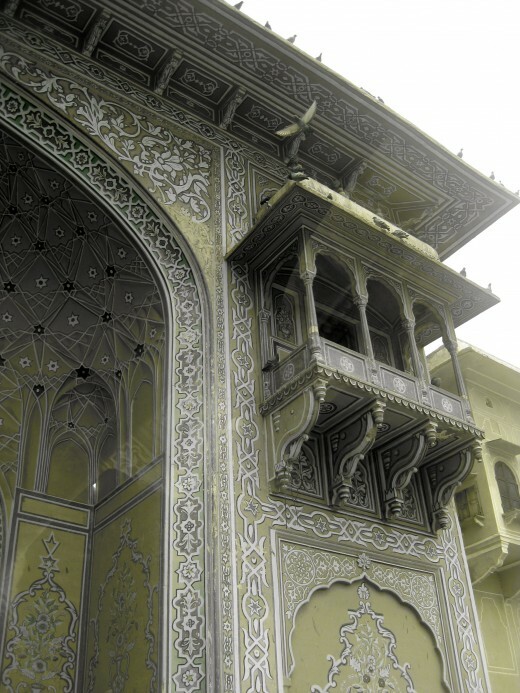 The City Palace is the former royal residence, built in an exquisite combination of Rajasthani and Mughal architecture. Within the palace is a fascinating complex of various buildings, courtyards, and gardens. 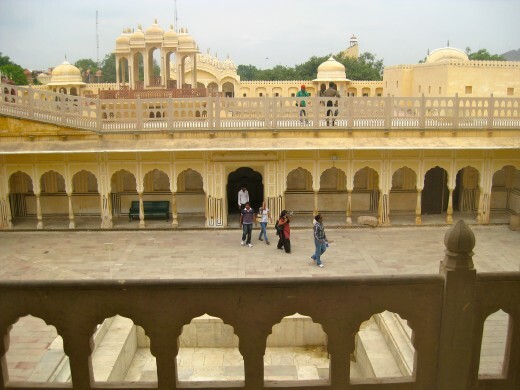 It was built between 1729 and 1732 by Maharana Sawai Jai Singh II and his predecessors added on to it. 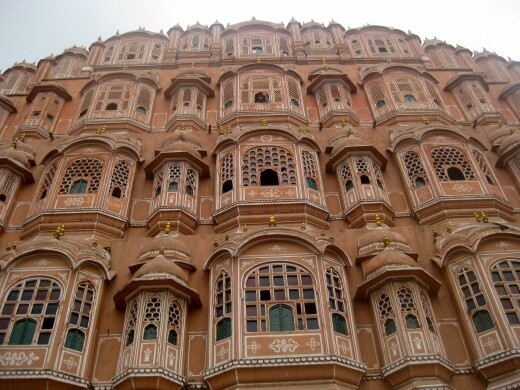 The Hawa Mahal, also commonly referred to as the 'Palace of Winds' is one of the most famous buildings in town. Keep reading more more details about this stunning building. 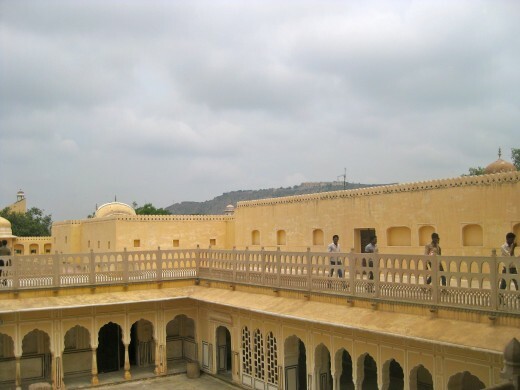 The Amber fort (also sometimes spelled Amer fort) is the old royal residence of the Jaipur Maharana. 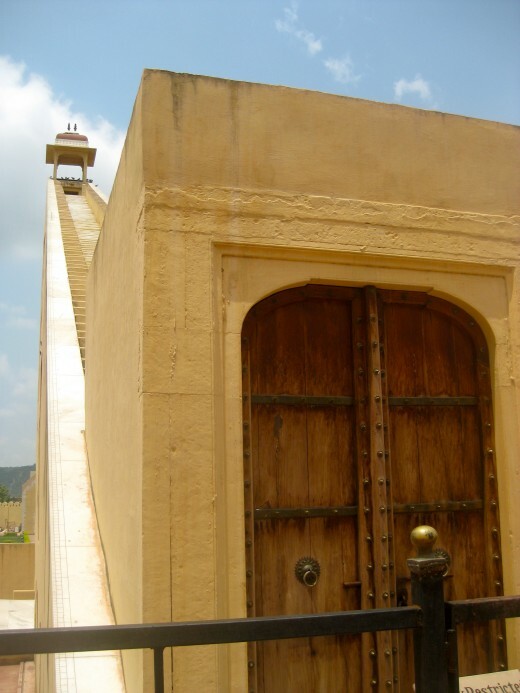 The fort is renowned for the Shila Mata temple, Jas Mandir and the Sheesh Mahal. 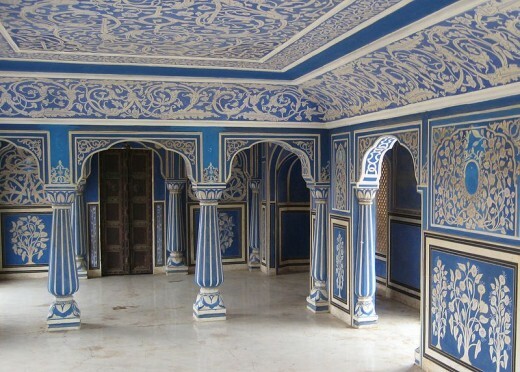 The interior is adorned with amazing paintings, carved stones, and mirrors. 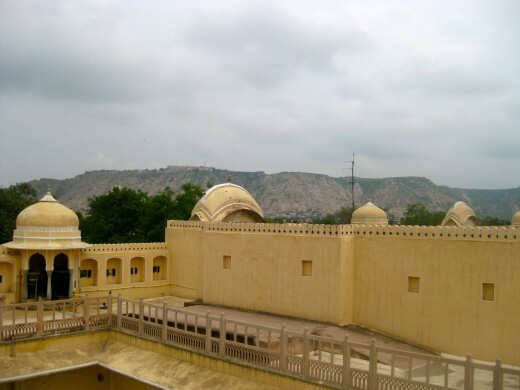 The Jaigarh fort was built to protect the Amer fort and the buildings within it. 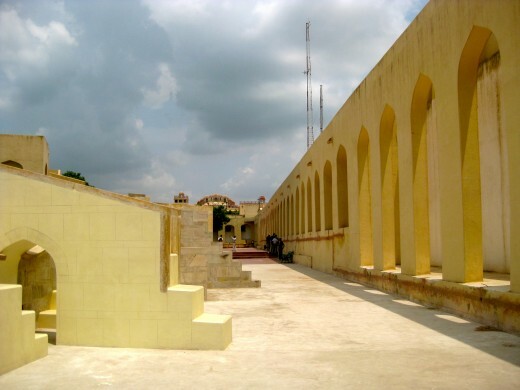 It's connected to the Amber fort via underground passageways and is considered one complex. The Jal Mahal, known as the 'Water Palace' is a gorgeous palace located in the middle of the Man Sagar Lake. 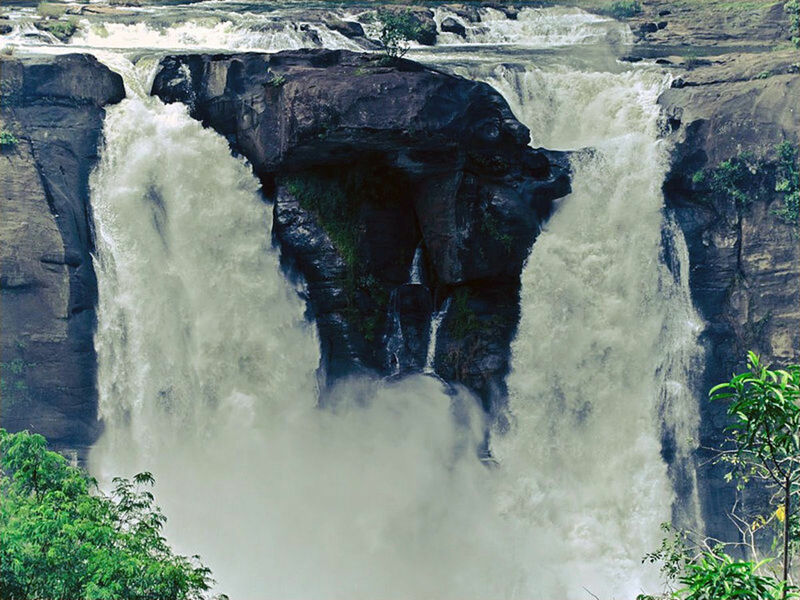 It is five-floors high and four floors remain under water when the lake is full during monsoon season. It's amazing to see a beautiful palace's top floors sticking out from the middle of a lake! Jantar Mantar is the largest stone observatory in the world. Keep reading more more fascinating details about this unique place. 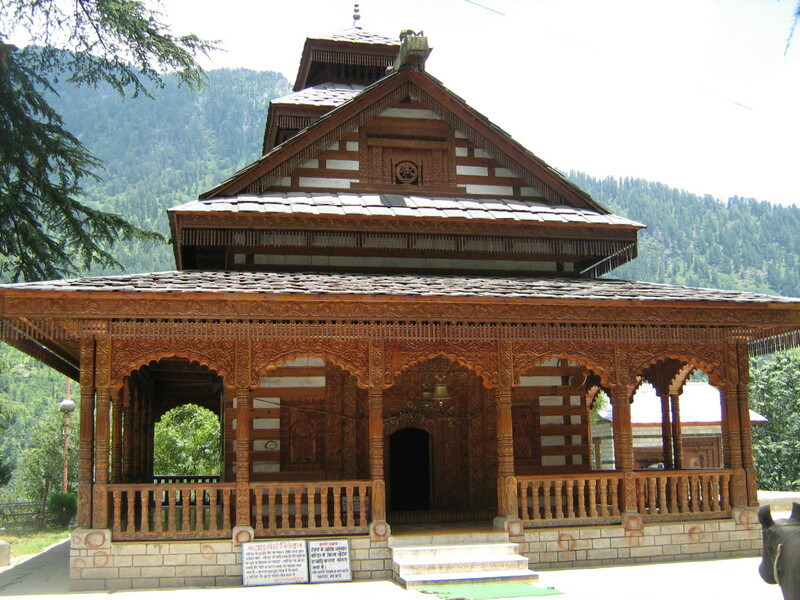 The Temple of Galtaji is an ancient pilgrimage site known for its natural springs. The temple is inside a complex which includes different shrines, a beautiful natural landscape, and gorgeous carvings and paintings. It's also known for the hundreds of monkeys who reside there! Those special residents gave the temple the nickname "the Monkey Temple". It's located on top of a hill and can be seen from different parts of the city. 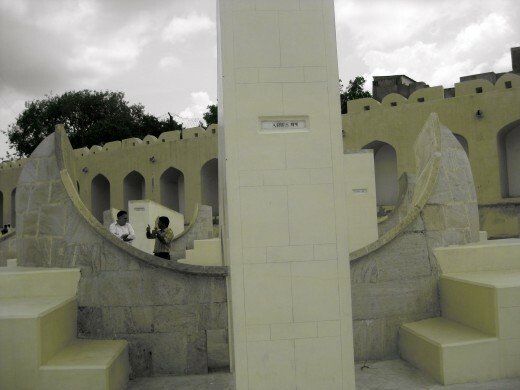 Sisodia Rani ka Bagh is a beautiful garden that was given as a gift by the Maharana to his beloved queen from Udaipur. 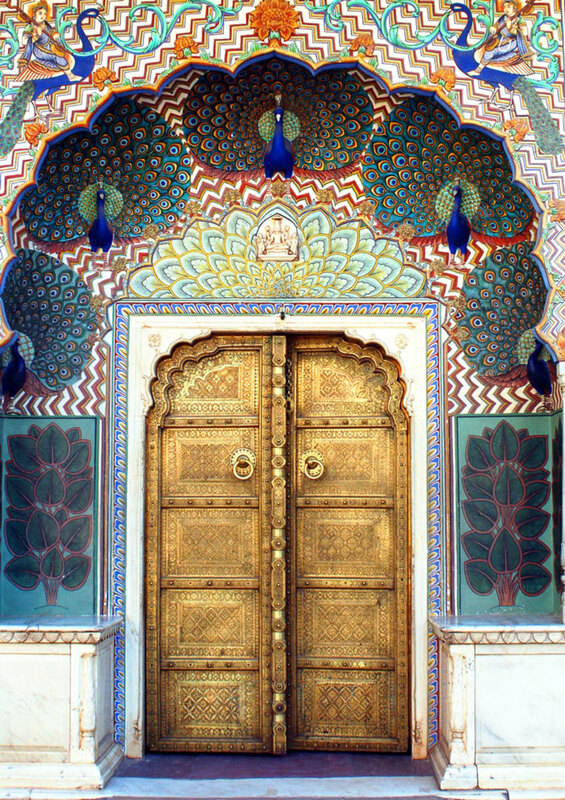 There are eight fabulous gates into the walled city of Jaipur. 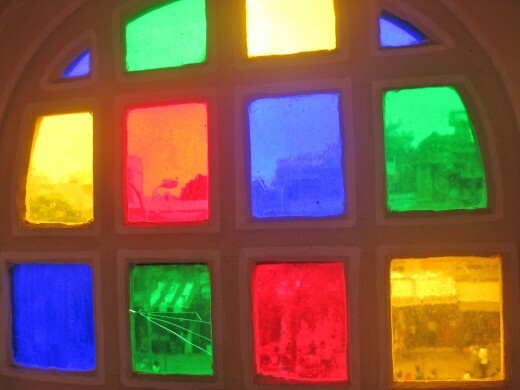 The Hawa Mahal, known as the "Palace of Winds" is a very unusual yet beautiful building. It has 953 tiny windows from which the ladies of the royal household gazed out into the streets below without being seen. In fact it was built exactly for that purpose. The interior is pretty simple but elegant, with a number of pillars, a large courtyard, and many passages that lead to the top floor so the ladies can people watch. 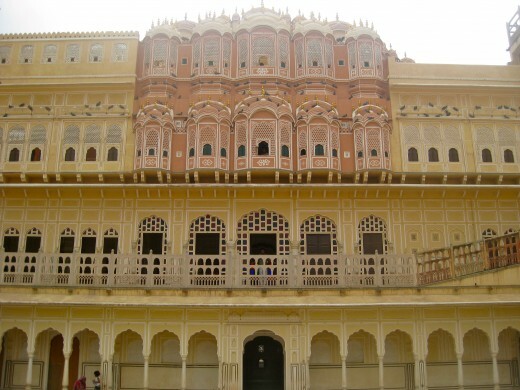 The Hawa Mahal was built in 1799 by Maharaja Sawai Jai Singh's grandson and is a continuation of the City Palace. 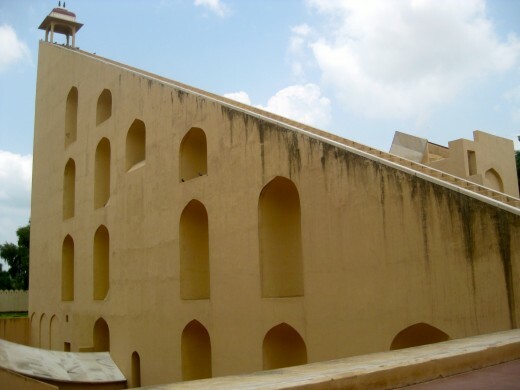 It has five floors, with windows to the main road in Jaipur. It's designed to look like Krishna's crown! 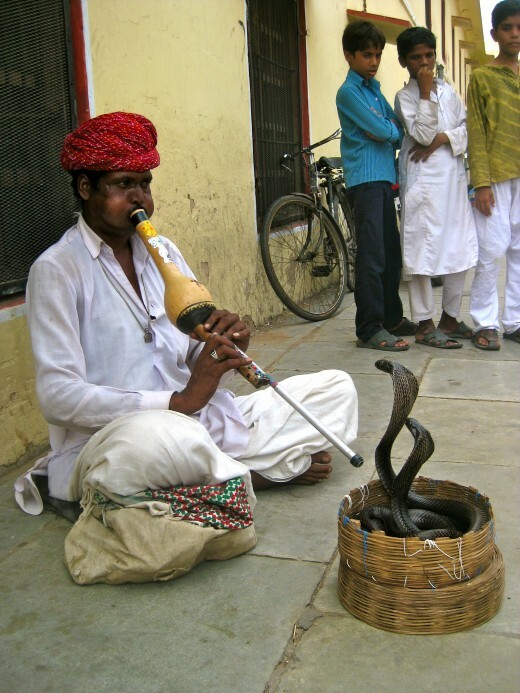 Do you plan on visiting Rajasthan? I wasn't... until I read this hub! 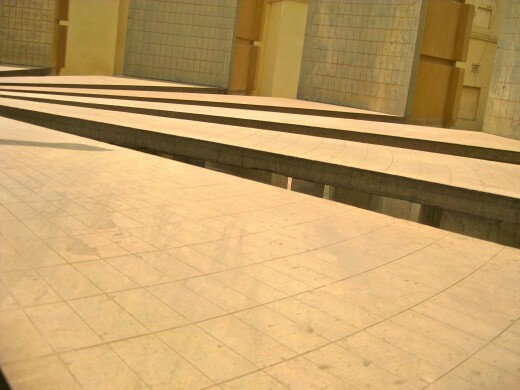 One of the most captivating scenes of The Fall was filmed in Jantar Mantar. 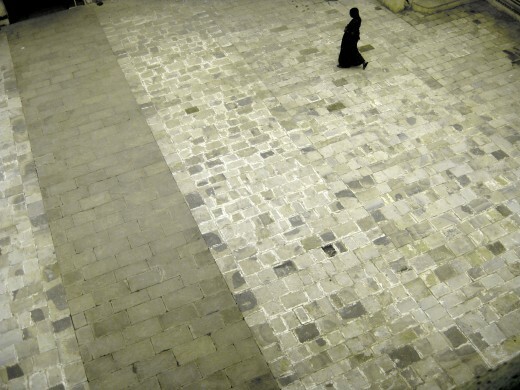 In the scene, the Indian's wife is trapped in a maze and as she's running around trying to escape, she's faced with numerous dead-ends, paths, and steps that seem to lead nowhere. I was enthralled watching this scene wondering what this place could possibly be. 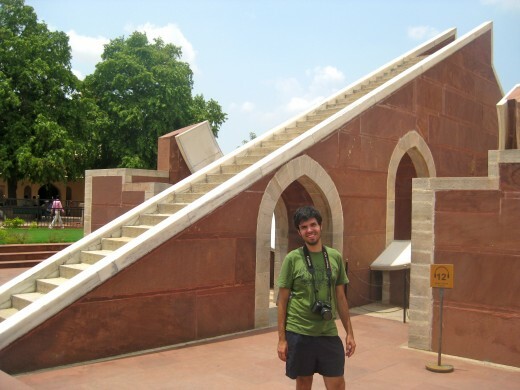 It's Jantar Mantar, an observatory! 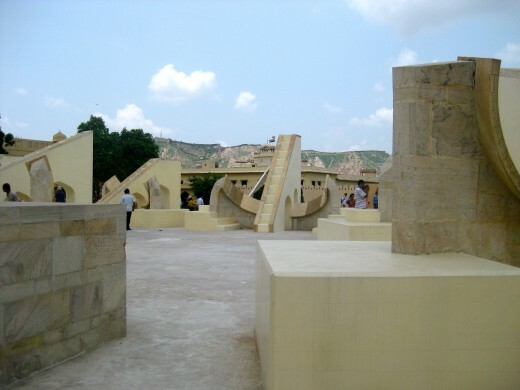 Roughly, "Jantar Mantar" translates to "The Instruments of Calculation" and was commissioned to be built in 1728 by Maharaja Sawai Jai Singh, the founder of Jaipur and avid astronomer. 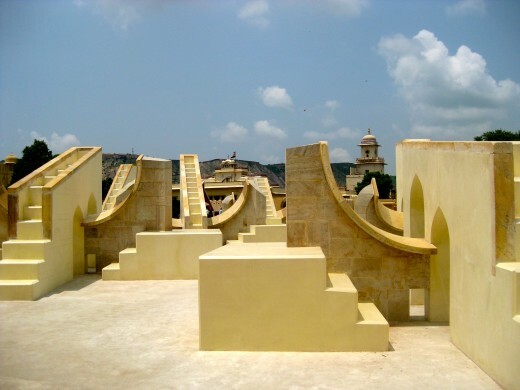 And Vidhyadhar Bhattacharya, who designed Jaipur also designed Jantar Mantar. 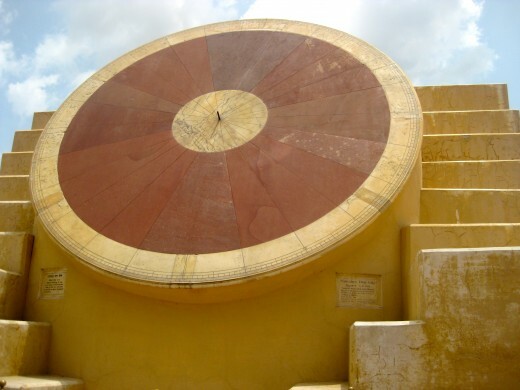 Jantar Mantar is the largest stone observatory in the world and was built to observe astronomical phenomenon and help the royal family with decisions-making. 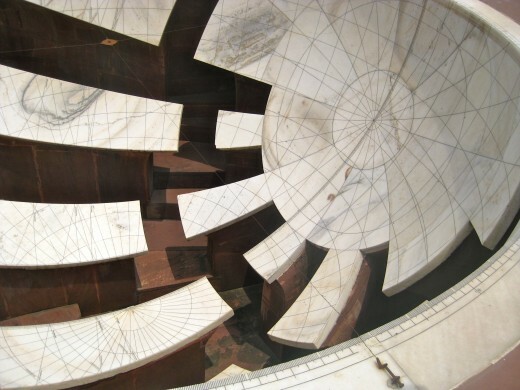 In total, there are 14 main fascinating devises with remarkable geometric shapes, all used for observing the sky. 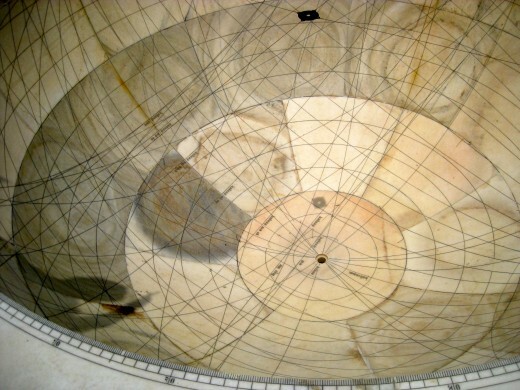 Each astronomical instrument has its own function such as telling the time by the sun's shadow, tracking planetary movement, and predicting eclipses. Even I was able to tell the time with the sundial which is still functional. 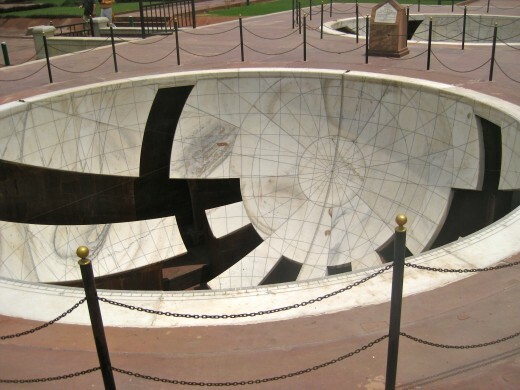 In the movie, The Fall, the Indian's wife is trapped in a maze and the only way out is suicide, leaping from the sundial! Get an hour-long guided tour, it's completely worth it. 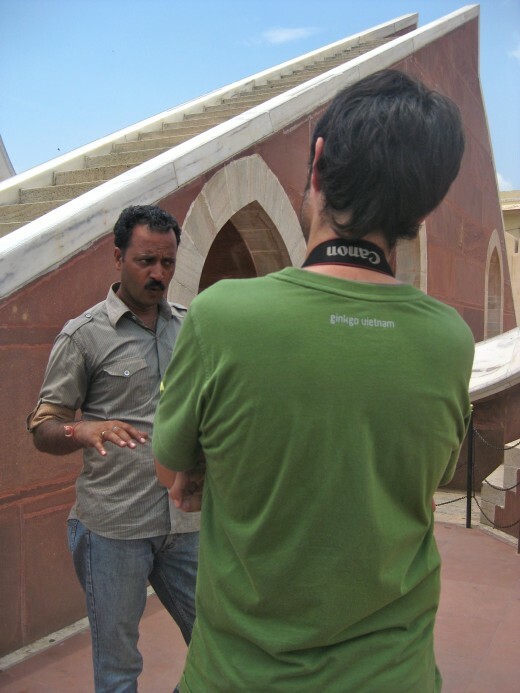 The guide will explain how each each fascinating instruments work and Jantar Mantar's history. The Fall Trailer - Can you spot some shots of Jaipur? 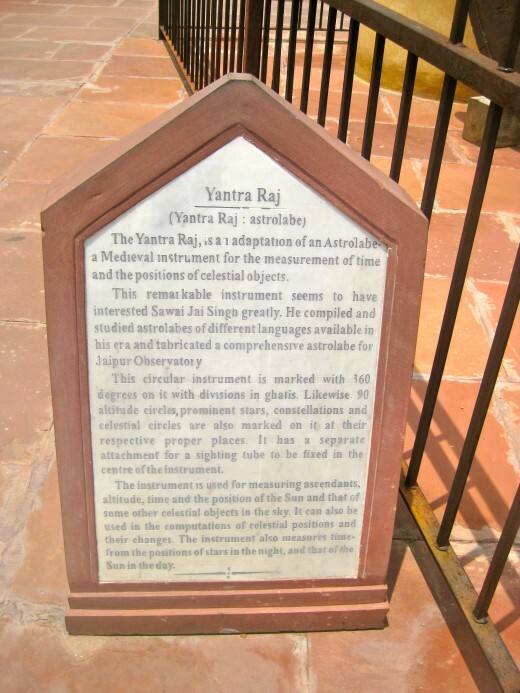 I live in Jaipur and I can say that this is an informative article. However, Jaipur has much more. 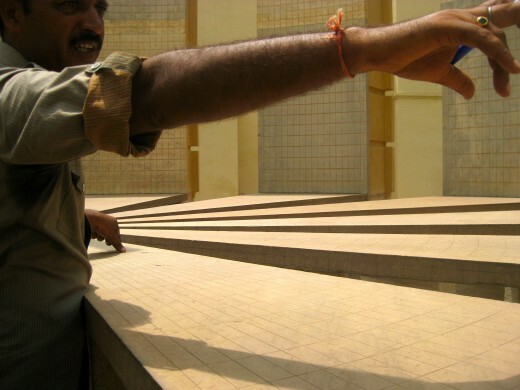 Large numbers of historic Jain temples worth mention. Jaipur is also a Gems and Jewelry hub. Jaipur is a wonderful destination. I have never visited the place. Your hub compels me to make a trip there soon. Thank you for sharing this wonderful information here. Voted up and shared. Wow, great hub, amazing place and wonderful photos. I really enjoyed reading this hub, full of interesting and useful information. The Palace of Winds is really something... :) Voted up, interesting, beautiful and sharing! Have a great day! Thanks so much, Rahul! Rajasthan is truly beautiful beyond words! I'm really looking forward to returning there and seeing it again. voted up and shared all across the web!